Cynthia Gale, a former Dean of Student Affairs at Sarah Lawrence College (Bronxville, NY) and award-winning fiber artist, came to create Ceremonial Art after her own self-healing from a catastrophic illness led her to Medicine Wheel and Shamanic studies and practices. As Gale’s early childhood was spent living in a Lumbee Native American Community in North Carolina, indigenous practices and art have long been part of her life. 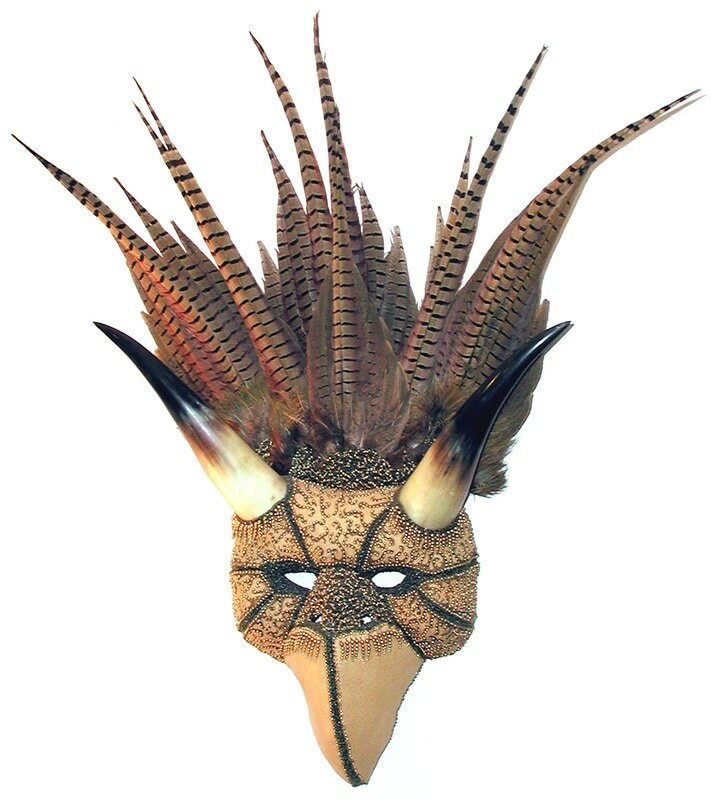 Her masks, fans, rattles and shields are created with eco-environmentalist concerns, respect for Native American traditions and are noted for their intricate detail. Gale’s Ceremonial Art is in private collections in 42 states as well as in the countries of Argentina, Australia, Canada, Czech Republic, Denmark, France, Germany, Israel, Italy, South Africa and Switzerland. Her art has been exhibited in museums and galleries throughout the United States. All Matters opened as Gale’s Studio Gallery in March 1991 in Little Italy in Cleveland, Ohio. Twelve years ago, Rainer Hildenbrand, wood and glass artist, joined her as co-owner of All Matters. Gale & Hildenbrand’s home and studios are located in the Amish countryside of W. Farmington, Ohio where they live and work with their dog, Jasper (See Jasper blog on this website). all matters on earth and in heaven.